MELISSA MANCHESTER-HOME TO MYSELF/BRIGHT EYES/MELISSA AND HELP IS ON THE WAY. It was almost inevitable that Melissa Manchester would end up embarking upon a musical career. The Manchester family were a highly creative family, and music played an important part in everyday life. That was no surprise. Melissa’s father was a bassoonist in the New York Metropolitan Opera. She would later follow in his footsteps, and would enjoy a career in music. That was when Melissa Manchester was born in the Bronx, New York. Her mother was a clothing designer, and would later found her own company. However, Melissa’s father was a musician. He was a bassoonist in the New York Metropolitan Opera. So music played an important part in the family home. It was no surprise that Melissa embraced music from an early age. Having started singing at an early age, Melissa Manchester enrolled at Manhattan’s High School of Performing Arts. That was where she learnt to play piano and harpsichord. It was during this time, that Melissa started singing on jingles for radio and television. Soon, Melissa was demoing the songs that was writing. Already Melissa Manchester was a prolific songwriter. She spent much of her free time writing and honing songs. Despite being a prolific songwriter, when Melissa recorded her debut single for MB, neither the single Beautiful People, nor the B-Side A Song For You were her compositions. When the Beautiful People was released in 1967, it failed to make an impression on the charts. However, a year later, and a new opportunity arose for Melissa. When Melissa was seventeen, and still a student at the High School of Performing Arts, she became a staff writer for Warner Chappell. Already, it was inevitable that she was going to pursue a career in music. After Melissa left the High School of Performing Arts, she enrolled on the songwriting course at the prestigious New York University. One of her tutors was none other than Paul Simon. He advised Melissa to find her own voice as a songwriter. This she realised was good advice, and her songwriting quickly improved. In the evenings and weekends, Melissa sang in clubs. She had been doing that for years. During that period, she graduated from folk clubs and open-mics to Manhattan clubs. Melissa was going up in the world. Her rise was about to continue. It was while Melissa was singing in a Manhattan club during 1971, that she first met Barry Manilow. He would later be credited as ‘discovering’ Melissa Manchester. When he first saw, Melissa singing, he realised that she was a talented and accomplished singer. So he decided to introduce Melissa to his employer, Bette Midler. Since earlier in 1971, Barry Manilow had been working as Bette Midler’s arranger and pianist. He also co-produced Bette Midler’s first two albums. Barry Manilow introduced Melissa to Bette Midler. Later in 1971, Melissa became one of Bette Midler’s backing singers The Harlettes. During her time with Bette Midler, Melissa met songwriter Carole Bayer Sager. The pair soon became fiends and started writing songs together. Little did they realise that their formidable songwriting partnership would later write some contemporary classics. That was still to come. Before that, Melissa featured on the 1972 album National Lampoon Radio Dinner. She appeared on the track Magical Misery Tour as Yoko One and sung backing vocals on Deteriorata. However, the next time she featured on an album would be her debut album. Melissa Manchester was approached by Bell Records, who had spotted her potential. By then, she had spent time as one of Bette Midler’s backing singers The Harlettes and formed a songwriting partnership with Carole Bayer Sager. Signing a recording contract was the next logical step. It hadn’t been easy though. Time after time, Melissa sent demos to record companies. They would listen to the demo, and jump to the wrong conclusion. Many record companies thought that Melissa remembers they: “would think I was a black girl based on the sound.” Bell Records who had been watching Melissa’s progress didn’t make that mistake. Bell Records were willing to give Melissa total creative freedom when she recorded her debut album. She would be able to record the album that she wanted. There was a reason for their largesse though. Previously, Bell Records was known as a singles label. They were keen to change that. So Bell Records started to add artists to their roster who would produce albums and singles. Melissa Manchester fitted the bill. With her recording contract signed, Melissa began work on her debut album. The Melissa Manchester and Carole Bayer Sager partnership contributed If It Feels Good (Let It Ride), Easy, Something To Do With Loving You, Pick Up The Good Stuff (Reprise), Be Happy Now, One More Mountain To Climb and Home To Myself. Melissa penned Funny That Way, Jenny and Doing The Best (That He Can). These songs were recorded in New York. To produce what would later become Home To Myself, Hank Medress and Dave Appell were brought onboard. They oversaw recording at Century Sound Studios, in New York. No expense was spared. Strings, horns and woodwind sections augmented by a band that featured some of New York’s top session musicians. They began recording the ten songs. When they were complete, they would become Home To Myself. Later in 1973, Bell Records were preparing for the release of Melissa Manchester’s debut album Home To Myself. Critical acclaim accompanied the album’s release, as Melissa brings life, meaning and emotion to the lyrics. Especially on the ballads that feature on Home To Myself. There’s a confessional quality to ballads like If It Feels Good (Let It Ride), Easy,Funny That Way, One More Mountain To Climb, Doing The Best (That He Can) and Home To Myself. Sometimes, it’s as if Melissa is laying bare her soul. Then as the tempo rises, the piano playing singer-songwriter sometimes, combines power and passion on Something To Do With Loving You and Be Happy Now. During Home To Myself, Melissa switched between and combined musical genres. Elements of pop, rock, folk and soul were combined. Stylistically, comparisons were drawn with Carole King, Bette Midler and Laura Nyro, who had such an influence on Melissa. What surprised many critics was how accomplished and polished a singer Melissa was. It was hard to believe Home To Myself was her debut album. However, she had spent six years honing her sound. Melissa Manchester was hoping that this would pay off. When Home To Myself was released later in 1973, it charted and began climbing the US Billboard 200. Eventually, it reached 156. Considering it was only Melissa Manchester’s debut album, this was regarded as a success. Previously, many debut album had failed to even trouble the charts. Melissa Manchester had something to build on. 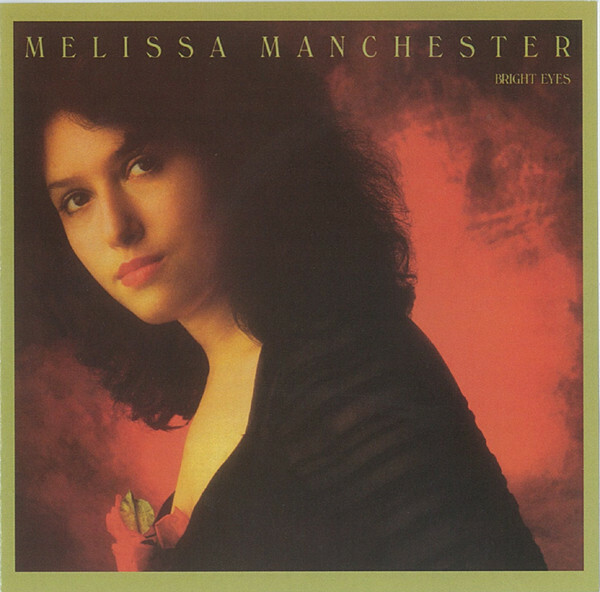 After the relative success of Home To Myself, Melissa Manchester began working on her sophomore album Bright Eyes. This time, the Melissa Manchester and Carole Bayer Sager partnership only penned the one track, Ruby And The Dancer. Their partnership would resume on Melissa’s third album. For her sophomore album, Bright Eyes, Melissa had a new songwriting partner lyricist Adrienne Anderson. They too, would establish a successful songwriting partnership. For Bright Eyes Melissa and Adrienne Anderson wrote Bright Eyes, Alone, No.1 (Ahwant Gemmeh) and He Is The One. Melissa contributed O Heaven (How You’ve Changed Me) and Inclined. They penned Bright Eyes, Alone, No.1 (Ahwant Gemmeh) and He Is The One. The other track was a cover of Vernon Duke and George Gershwin’s I Can’t Get Started. Melissa had decided to cover it for her sophomore album Bright Eyes. When recording of Bright Eyes began, Melissa was joined by two familiar faces, Hank Medress and Dave Appell. They returned to produce Bright Eyes. Just like Home To Myself, recording of Bright Eyes took place at Century Sound Studios, in New York. Again, the arrangements were featured strings, horns and woodwind sections and band that included some of New York’s top session musicians. With Hank Medress and Dave Appell taking charge of production, they recorded Bright Eyes. Once it was complete, Bell Records began preparing for the release of Bright Eyes. Home To Myself had introduced Melissa Manchester to critics and record buyers. Now Bell Records wanted Melissa’s music to reach a wider audience. Before that, the critics had their say. Just like Home To Myself, Bright Eyes was well received by critics. They were quick to compare Melissa’s new songwriting partnership with Adrienne Anderson to her partnership with Carole Bayer Sager. The verdict was that the Melissa Manchester and Carole Bayer Sager won the day. That wasn’t surprising. Carole Bayer Sager was well on her way to becoming one of the top songwriters of her generation. However, both songwriting partnerships played an important part on Bright Eyes. What was noticeable on Bright Eyes, was that Melissa was beginning to establish her own musical identify. There’s still a nod to her hero Laura Nyro on Bright Eyes and O Heaven (How You’ve Changed to Me). Elsewhere, Melissa was blossoming and proving a versatile vocalist. Alone was a beautiful, jazz-tinged, piano lead, hurt-filled ballad. Another ballad is Inclined. It’s a heartfelt paean was penned by Melissa. She was maturing as a songwriter and was responsible for one Bright Eyes’ finest moments. No.1 (Ahwant Gemmeh) was an uptempo track, where Melissa unleashes a vocal powerhouse on this tougher sounding track. It allows Melissa to showcase her versatility. This she continues to do. The gospel-tinged paean Ode To Paul, finds Melissa paying tribute to her songwriting mentor Paul Simon. Her jazzy cover of I Can’t Get Started, has a late night smokey sound. The gospel-tinged He Is The One is the best song from Melissa and Adrienne Anderson’s songwriting partnership. It also features a powerful vocal that oozes emotion and sincerity. Without doubt, it’s one of Bright Eyes’ highlights. So is the heartfelt ballad Ruby and The Dancer, the only song penned by Melissa Manchester and Carole Bayer Sager. Just like her debut album, Bright Eyes won over by critics. Given the positive reviews of Bright Eyes, Bell Record had high hopes for Melissa’s sophomore album. Upon its release later in 1974, the album it reached just 159 in the US Billboard 200. This was a disappointment for everyone concerned. Bell Records and Melissa had been looking to build on the success of Home To Myself. What didn’t help, was that the wrong song was chosen as the lead single. There were several contenders for lead single. Eventually, O Heaven (How You’ve Changed Me) was chosen. It featured The Dixie Hummingbirds. However, rather than release the version on the album, the song was rerecorded. Despite all this effort, the song never came close to troubling the charts. This added to the disappointment. However, Bell Records who were about to be renamed Arista, kept faith with Melissa. After Bright Eyes had stalled at 159 in the US Billboard 200, several changes were made for Melissa Manchester’s third album, Melissa. This included everything from songwriting partners to the producer that was hired and even the studio that Melissa was used. Arista president Clive Davis, it seemed were looking for a result. For Melissa, Melissa and Carole Bayer Sager resumed their songwriting partnership in earnest. They wrote We’ve Got Time, Stevie’s Wonder, This Lady’s Not Home Today and I Got Eyes. Melissa also wrote It’s Gonna Be Alright with Adrienne Anderson. However, her new producer contributed a song. Hank Medress and Dave Appell had been replaced by Vini Poncia. He and Melissa penned Just Too Many People. Similarly, Melissa and the guitarist from her new band, David Wolfert cowrote Party People. Completing Melissa were two cover versions, Stevie Wonder and Syreeta Wright’s Love Havin’ You Around and Randy Newman’s I Don’t Want To Hear It Anymore. These songs would be recorded with a new producer and band at a new studio. Nothing was left to chance. For the recording of Melissa, two studios were used. With Melissa now living in LA., it made sense to record much of the album at Sunset Sound Studios, in Los Angeles. Other sessions took place at A & R Studios, in New York. Vini Poncia took charge of production and marshalled the cast of musicians and backing vocalists. This included for the first time on a Melissa Manchester album synths. However, strings were still used to sweeten the album. So were horns as Melissa took shape. Eventually, Melissa was completed and ready for release. Once Melissa was completed, a release date was scheduled for later in 1975. This time, great thought went into choosing the right single. Executives at Arista hoped that Melissa would introduce Melissa Manchester’s music to a much wider audience. However, partly, that would depend upon what critics said about Melissa Manchester’s third album, Melissa. Melissa was quite different from previous albums. It was an album that was a mixture of two types of songs, ballads and uptempo tracks. Unlike previous albums, the albums was divided equally between ballads and uptempo tracks, This allowed Melissa to showcase her versatility. The beautiful ballad We’ve Got Time that opens Melissa. It was the first of the songs penned by Melissa and Carole Bayer Sager. Their partnership was blossoming. Melissa was continuing to mature as a vocalist, and didn’t so much sing the lyrics as live them. Party Music and Just Too Many People showcased a new sound. Both were slick, mid tempo tracks with a commercial and radio friendly sound. The tempo rises on Stevie’s Wonder, another of Melissa’s tribute songs, Melissa delivers another vocal powerhouse. This trio of songs showcase a different side to Melissa Manchester. For many people, Melissa is at her best on the ballads. That’s apparent on This Lady’s Not Home, which was penned by Melissa and Carole Bayer Sager. It’s followed by Melissa’s cover of Love Having You Around. Just like on We’ve Got Time, backing vocalist accompany Melissa and augment her vocal as it veers between tender, heartfelt and thoughtful. After that, it’s all change and Melissa continues to switch between uptempo tracks and ballads. With horns, harmonies and jazzy piano accompanying her, Melissa unleashes a soulful powerhouse of this oft-covered and familiar song. However, the highlight of Melissa is the beautiful, hopeful ballad Midnight Blue. It’s the highlight of Melissa and features one of the best productions. The tempo rises on It’s Gonna Be Alright. Soulful and funky, with a tougher sound, Melissa switches seamlessly between styles and with a tight and talented band, produces a slick and soulful song. This leaves just two ballads, including the cinematic I’ve Got Eyes. Closing Melissa was a emotive, hurt-filled cover of Randy Newman’s I Don’t Want To Hear It Anymore. Just like on Bright Eyes, Melissa closes with a beautiful ballad where Melissa lives the lyrics. With critical acclaim accompanying the release of Melissa, the album was released later in 1975. It reached number twelve in the US Billboard 200, and sold over 500,00 copies. Melissa Manchester received her first gold disc. That was no surprise. Midnight Blue the ballad that Melissa cowrote with Carole Bayer Sager in 1973, was released as the lead single from Melissa in May 1975. It reached number six in the US Billboard 100 and number one in the Adult Contemporary charts. Buoyed by this success, sales of Melissa grew in America. Across the border on Canada, Midnight Blue reached number five and number one Adult Contemporary charts. However, it had been hard work promoting Midnight Blue. Arista was quite unlike Bell Records. President Clive Davis wanted his artists to work hard to break singles. So Melissa criss crossed America, meeting and greeting DJs and various movers and shakers. It was hard work, but eventually it paid off. The first song that Melissa cowrote with Carole Bayer when they first met had given her the biggest hit single of her career. Following the success of Midnight Blue, Just Too Many People was released as the followup. It reached number thirty in the US Billboard 100 and number two in the Adult Contemporary charts. For Melissa, her third album had transformed her career. Now came the hard part, replicating the success of Melissa. Better Days and Happy Endings. Following the success of Melissa, work began on Better Days and Happy Endings. This was the first of two albums Melissa released during 1976. Arista hoped that she would replicate the success of Melissa and Midnight Blue. However, that was easier said than done. Melissa had featured some of the best songs of Melissa Manchester’s career. They were written by Melissa and Carole Bayer Sager. The pair had forged a successful partnership on Melissa’s first three albums. Playing an important part in Melissa was Vini Poncia. He returned to produce Better Days and Happy Endings. So did many of the musicians who worked on Melissa. They joined Melissa at Davlen Studios, North Hollywood. A total of ten tracks were recorded. Vini Poncia concentrated on producing an album of lush, feel good music. When it was complete, Arista and Melissa began work on promoting her fourth album, Better Days and Happy Endings. d well produced, with ballads and uptempo tracks rubbing shoulders with one another. It was critics said, a fitting followup to Melissa. When Better Days and Happy Endings was released in 1976, it reached number twenty-four in the US Billboard 200. The lead single Just You and I reached number twenty-seven in the US Billboard 100 and number three in the Adult Contemporary charts. Better Days then stalled at seventy-nine in the US Billboard 100, but reached number nine in the Adult Contemporary charts. Happy Endings failed to reach the US Billboard 100 and reached just thirty-three in the Adult Contemporary charts. When the single was flipped over, the B-Side of Happy Endings, Rescue Me reached just seventy-six in the US Billboard 100. 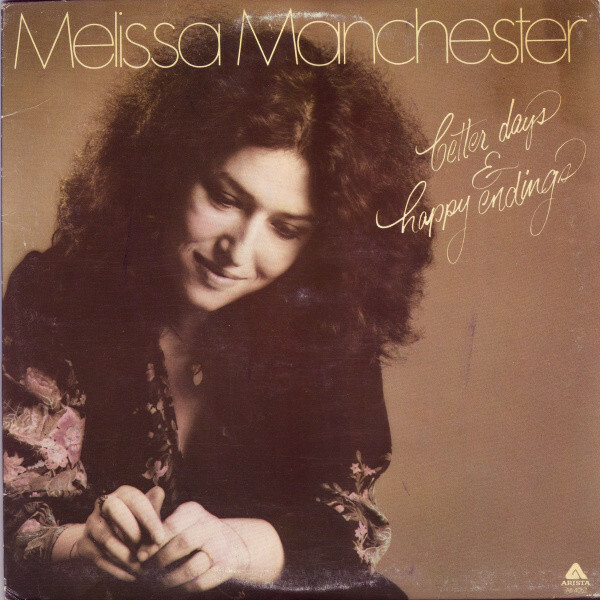 Despite that blip, Better Days and Happy Endings continued the Melissa Manchester success story. Arista hoped it would continue later in 1976. Buoyed by the success of Better Days and Happy Endings, work began on the followup album. Arista were hoping that Melissa would enjoy another successful album. Her last two albums had sold well, and featured five hit singles in the US Billboard 100 and Adult Contemporary charts. So Melissa got to work. This time around, Melissa and Carole Bayer Sager only wrote two songs, Help Is On The Way and There’s More Where That Came From. This left a huge void to be filled. Filling that void was Melissa. She penned Talkin’ To Myself, Headlines and So’s My Old Man. The Melissa Manchester and Arienne Anderson penned Singing From My Soul. Melissa also wrote Be Somebody with Vini Poncia, and Johnny Vastano. Completing Help Is On The Way were a trio of cover versions. This included Michael Franks’ Monkey See-Monkey; Do; Steely Dan’s Dirty Work and A Fool In Love. These songs and the rest of Help Is On The Way were recorded in L.A.
Two studios were used to record Help Is On The Way. Recording sessions took place in Hollywood at Sound Labs Inc. and at the Burbank Studios, Burbank. Vini Poncia returned for the third time, and was joined by some of the band that played on Melissa and Better Days and Happy Endings. Having worked together twice before, the sessions ran smoothly, and the album was ready in time to be released later in 1976. Arista were keen to release Melissa’s fifth album, Help Is On The Way, hot on the heels of Better Days and Happy Endings. Melissa was enjoying the most successful period of her career, and Arista wanted to build upon it. So promotional copies of Help Is On The Way were sent out. Just like Better Days and Happy Endings, critics gave Help Is On The Way positive reviews. It was another carefully crafted selection of songs that allowed Melissa to showcase her versatility. Help Is On The Way opened with one of Melissa’s compositions, the ballad Talkin’ To Myself. Pop meets rock as Melissa combines power and emotion. Be Somebody is a beautiful hopeful ballad. It’s all change on the rocky A Fool In Love. Melissa unleashes a sultry, soulful powerhouse of a vocal. Headlines is another of Melissa’s compositions, and just like Talkin’ To Myself is a ballad. Here, Melissa’s vocal veers between tender, heartfelt and emotive to powerful. However, Help Is On The Way is the standout track. It was penned by Melissa and Carole Bayer Sayer. They’re responsible for a beautiful, heartfelt and hopeful ballad. With strings, piano and harmonies accompanying Melissa, she reaches new heights on Help Is On The Way. Monkey See, Monkey Do is very different to what’s gone before. Elements of soul, R&B and jazz combine as Melissa reinvents the song. She stays faithful to Steely Dan’s Dirty Work, but producer Vini Poncia adds swathes of strings, harmonies and a piano. Suddenly, a familiar song takes on new meaning. After this, the tempo drops on the wistful ballad So’s My Old Man. It’s another song that Melissa wrote, and shows how with every album she’s maturing as a singer and songwriter. She breathes meaning and emotion into her lyrics. There’s More Where That Came From is the second song penned by Melissa and Carole Bayer Sager. Again, this ballad is one of the highlights of Help Is On The Way. It closes with the beautiful string drenched ballad Singing From My Soul. Just like the rest of Help Is On The Way it oozes quality. Given the critical response to Help Is On The Way, Arista thought the album would follow in the footsteps of Melissa and Better Days and Happy Endings. However, when Help Is On The Way was released later in 1976, the album stalled at just sixty in the US Billboard 200. Again, Arista backed the wrong horse when it came to the lead single. They chose Monkey See, Monkey Do, which failed to chart. Neither did Be Somebody. For Melissa, Help Is On The Way had been a disappointment. Things could’ve been very different if a different lead single had been chosen. Monkey See, Monkey Do was the wrong choice. By the time that Be Somebody was released, the album had stalled. It was a frustrating time for Melissa. Despite that, the last three years had been a roller coaster for Melissa Manchester. An important factor in the rise of Melissa Manchester was her songwriting partnership with Carole Bayer Sager. They formed a successful and enviable partnership. Not only would the songs they wrote bring success Melissa’s way, but for many other artists. It was a fruitful and profitable partnership. It helped launch Melissa’s career in 1973. Her 1973 debut album Home To Myself established an audience for her music. That audience were here to stay when Bright Eyes was released in 1974. However, Melissa’s fortunes changed in 1975. Melissa Manchester criss-crossed America, glad-handling DJs and music industry movers and shakers. All her hard work and persistence paid off when Midnight Blue, a song she penned with Carole Bayer Sager gave her a top ten hit. The success of Midnight Blue helped Melissa’s third album Melissa, sell over 500,000 copies. The success continued when Melissa released Better Days and Happy Endings in 1976. Later that year, Melissa released her second album of the year. Sadly, Help Is On The Way failed to fulfil its potential and failed to match the success of Melissa’s two previous albums. Nowadays, Help Is On The Way is one of the most underrated albums Melissa Manchester released. It’s one four albums on BGO Records recently released two CD set. Home To Myself is joined by Bright Eyes, Melissa and Help Is On The Way have all been digitally remastered, and just like all the BGO Records releases, the sound quality is of the highest quality. This quartet of albums are the perfect introduction to one of the most versatile and talented, singer-songwriters of her generation, Melissa Manchester.